Plate and frame filter press and belt type filter press equipment are used quite extensively, in urban sewage treatment, food processing, petrochemical, metallurgical manufacturing, mining and mining, metal forging, medicine, pharmaceutical, electronics, chemical industry and other industries, the use of the abyss, the processing of these industries in the solid-liquid mixture produced by industrial production, they have filtration separation effect.Recycle available materials, treat waste water and protect the environment. Belt type filter press belt press filter dewatering process can be divided into the pretreatment, gravity dehydration, wedge area preloading dewatering and squeezing the four important stages of technology using the new equipment filter program-controlled automatic box filter press, membrane filter press, filter press sludge dewatering depth, the integration of sewage sludge treatment equipment, on-line precision filtration system such as the price is reasonable, reliable performance of the environmental protection filter products. The belt filter press has the characteristics of large treatment capacity, high dehydration efficiency and long service life. 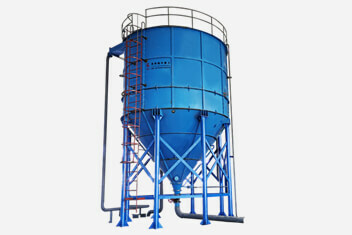 As a supporting equipment for sewage treatment, it can press and dehydrate the suspended solids and sediment after air flotation treatment and press them into mud cake to achieve the purpose of preventing and controlling secondary sewage.The machine can also be used for slurry concentration, black liquor extraction and other processes. 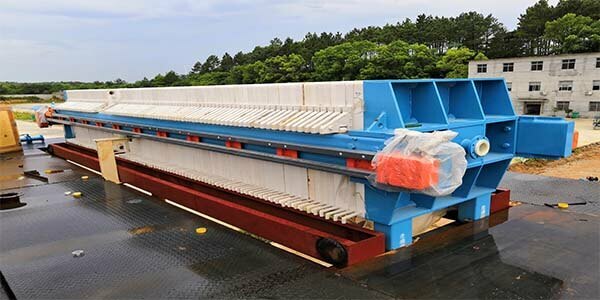 The plate-frame filter press is a very mature dewatering equipment. The filter press arranges the filter plates and filter frames with filtrate channels in parallel and alternately. 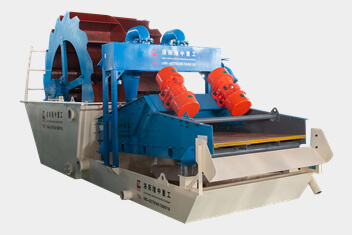 Each set of filter plates and filter frames is sandwiched with a press cloth.Sludge flows in from the feed inlet, water is discharged from the filtrate outlet through the filter plate, mud cake is piled on the filter cloth inside the frame, the mud cake is easy to flake off after the filter plate and filter frame are loosened, which has the advantages of simple operation, high solidity content of filter cake, strong applicability and so on. Plate and frame filter press is a kind of intermittent solid-liquid separation equipment, is arranged by the filter plate, filter frame into a filter chamber, under the pressure of the feed pump, the material and liquid will be sent to each filter chamber, through the filter medium, the solid and liquid separation.Widely used in chemical, dye, petroleum, ceramics, pharmaceuticals, sugar, food, starch, paint, metallurgy and sewage treatment industries.It has the advantages of good separation effect, simple operation and low investment.